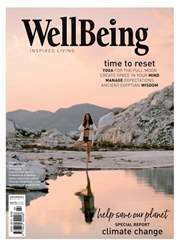 Create a spacious mind, reap the benefits of garden therapy and achieve perfect posture in WellBeing #176. Flow through a yoga sequence for the Full Moon, celebrate womanhood at Byron Yoga Centre and experience a traditional Chinese tea ceremony. Find the magic in mastication, be inspired by Indian vegetarian cuisine, power up with prebiotics and probiotics and nourish your body with kefir and chromium. Learn how to manage your expectations, get creative with colour therapy and discover how to effectively deal with dementia. Heal your body with Ancient Egyptian wisdom, experience the skin benefits of blue tansy and learn how to care for your baby’s feet. 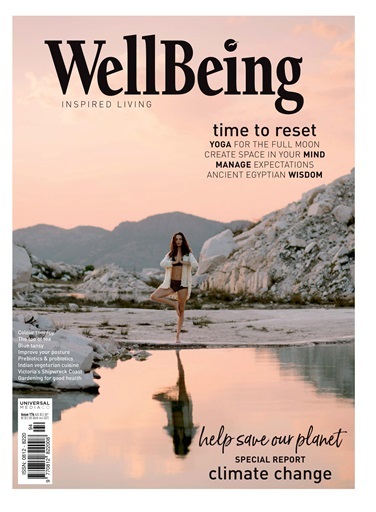 Learn all about millennial mentor Melissa Ambrosini and help save our planet by responding to climate change and reshaping how you live in your city. Explore Victoria’s wild and wonderful Shipwreck Coast, go on a South Georgian expedition and much, much more!